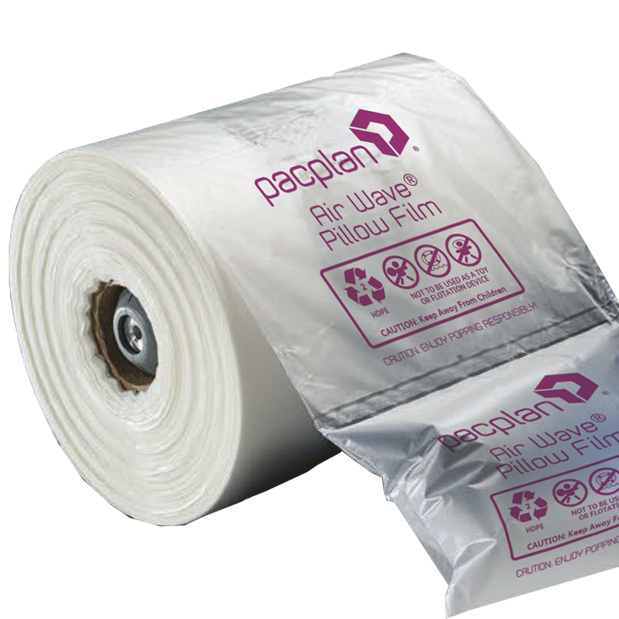 Forty rolls of Pacplan Airwave branded air pillow cushion machine roll film for use in the Pacplan Airwave machine. Each roll is 700 metres long and therefore contains approximately 4667 air pillows, each being 150mm x 200mm in size. These rolls are suitable for the Pacplan airwave machine. High end top quality branded air pillow rolls.